Wild: Megapiranha magnadmorsus is carnivorous fish found fairly commonly in the rivers and ponds of the island. Its bite is incredibly powerful; I've even seen them break through the armored turtles of the island. 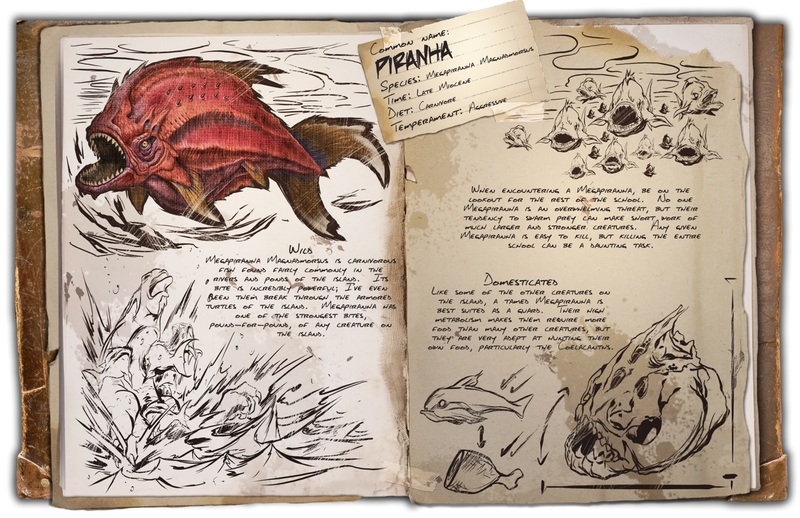 Megapiranha has one of the strongest bites, pound-for-pound, of any creature on the island.